Suffolk County Police Vehicular Crime Unit detectives are investigating a hit-and-run crash that killed a man in East Northport early this morning. 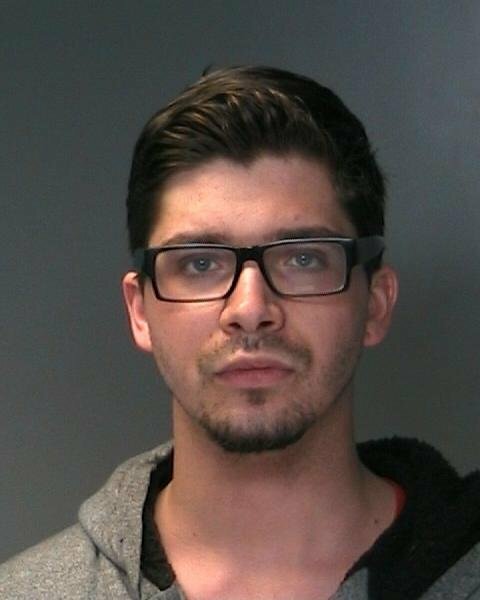 Update - 10:00 PM - Suffolk County Police arrested an East Northport man for leaving the scene of a fatal motor vehicle crash that occurred on Soundview Avenue in East Northport today. Vehicular Crime Unit detectives charged Ryan Bales, 24, of 41 Gildare Drive, East Northport, with Leaving the Scene of a Fatal Incident. He will be held overnight at the Second Precinct and is scheduled to be arraigned at First District Court in Central Islip on May 2. Original Release - 12:40 PM - East Northport, NY - May 1st, 2014 - Suffolk County Police Vehicular Crime Unit detectives are investigating a hit-and-run crash that killed a man in East Northport early this morning. Alexander Zydel, 20, of East Northport, was driving a 2003 Ford Explorer westbound on Soundview Avenue when his vehicle struck a tree at 12:55 a.m. Zydel was ejected from the vehicle and landed on the roadway. He was then struck by a light-colored sedan that was traveling westbound on Soundview Avenue. The driver of the sedan fled the scene. Zydel was transported to Huntington Hospital where he was pronounced dead. The investigation is continuing. Detectives are asking anyone with information about the crash or who may have been driving on Soundview Avenue at the time of the crash to contact the Vehicular Crime Unit at 631-852-6555 or call anonymously to Crime Stoppers at 1-800-220-TIPS. Date/Time: Thursday, May 1, 2014 at 12:55 a.m.
Subject: LongIsland.com - Your Name sent you Article details of "Update: Man Arrested in Fatal East Northport Hit-and-Run Crash"